Factors shaping the Eurasian lynx (Lynx lynx) population in the north-eastern Poland, s. 3-15. 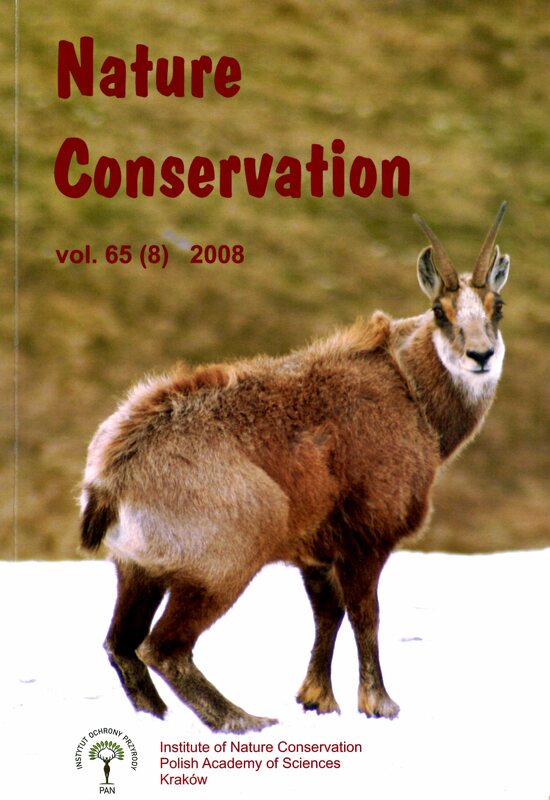 Restitution Tatra chamois (Ruicapra rupicapra fafrica Blahout 1971) to the Nizkie Tary Mts (Central Slovakia), s. 17-25. The Bumble bees and Cuckoo bees (Bombini, Apoidea) of the Western Bieszczady Mts. and the Beskid Niski Mts., s. 27-41. The distribution, habitat preferneces and size of population of Ostericum palustre Besser on the south-western limit of its occurrence in Poland, s. 43-49. The impact of forest management on the flora and vegetation of old oak-stands (An examlpe from The Spała Forests, central Poland), s. 51-62. Purple-moor grass meadows (alliance Molinion caeruleae Koch 1926) in the eastern part of Silesia Upland: phytosociological diversity and aspects of protection, s. 63-77. Internet trade in Polish endangered species of butterflies, beetles and molluscs, s. 79-97.